The cat is licking my computer again. . . It’s been a long time since I have posted here, but still the tradition of the cat having to have her say continues, much like leaving an offering for my ancestors before I speak of them. I have lain fallow and silent for a long time. On purpose. Everything in me has been drained out like a tainted well, I have let myself completely drain out and dry out to purge the poison. Things have been rather magically silent and like being put in a witches cradle all I have had to hear is the sound of my own heart and creaking bones. Then things shifted. Night mares faded and dreams slipped in with figures of my own ancestry speaking languages that I know and recognize but the actual words escape me. Russian, Romanian, Gaelic. . . words I should not know have been seared into my mind with equally haunting themes and images. Reindeer and knives, crows and branches and owls have all made themselves prominent figures. But most of all there are several figures speaking through my dreams: my grandparents both of Slavic descent and one figure I have no genetic relation to but another inheritance entirely. It’s like time in a bottle has been uncorked and spilled out all over my life. I have been asked, poked and prodded from all corners of the universe to wake up, to get up, to pick up. . . it wont stop , I suspect, until I do. I don’t know where this is leading me or even what I supposed to be accomplishing anymore. Our ancestors are always with us, they live in our very veins, the beat of our hearts, the heat in our tears. . .They wait for us to speak to them directly. They are hungry and wait for our offerings of bread and wine. They stare out at us in photos. . . waiting to be allowed room in our lives. To mysteriously move something to aid our path and they will not budge to do so until we ask. As pagans most of us set up an altar of our ancestors just for the season and take it down as the season wraps up. I have one set up all year round. Every holiday something is left for them. Every celebration they are honored. I cry before their altar when begging for help, I share the day or night’s vexing dream. I leave random offerings of flowers, sweets and something boozy. To me, my ancestors are very real creatures and after being buried like a seed for so long and remaining silent, their pokes and prods have become very potent. They scream: WAKE CHILD, WAKE!!!! Our most potent and our closest magical assistants are our beloved dead. An entire magical lineage is available to us in a drop of blood. Who you are magically does not depend on knowing whether you are Irish, Scot, Slavic, or Hispanic. It doesn’t matter if you can recite your ancestry.com litany or not. It is the relationship you had with your Mother who has passed or the Grandmother who doted on you. It is the memory of candied oranges on your Grandmother’s counter and the questions asked of the questions you asked your Grandfather. It is the memory of suits and ties worn while mowing the lawn and the goofy grin after seeing a whale off shore for the first time. It is the heat of an argument and tears of reconcilliation, It’s the stories told of narrow escapes and fool hardy errands, it is the passage of time you shared and continue to share with your ancestors that creates your magical lineage. It is the drop of blood you shed to call them forth and truth you offer them when you speak to their shade. Make the call. . . they are waiting for you to ask. That which is remembered lives. 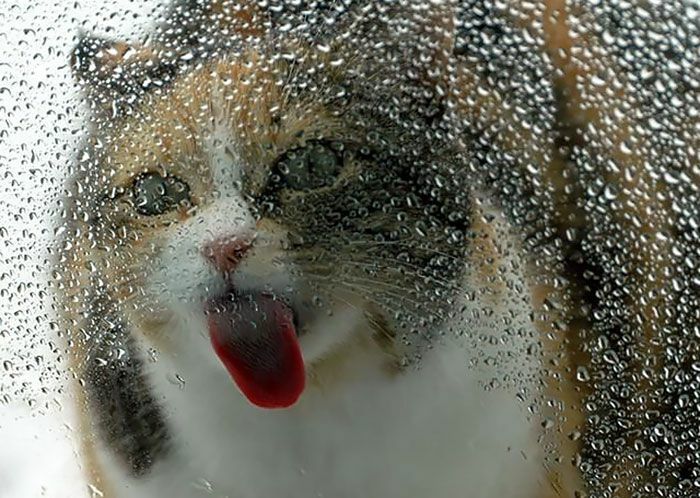 Now if I can only get the cat to stop licking the screen. . . that would be great. Prev The War is Upon Us.